So, a month has passed since cracking open my first bottle of Inhibitif. Has it transformed my legs into those of a silky smooth goddess? Can I wave goodbye to the laborious task of slapping on some gel and shaving away, yet? The marketing campaign for this product has really packed a punch and it's starting to gain a lot of interest, but are we just suckers for believing the hype? After the previous weeks of not seeing much change from using this product, I started to lose hope. This seemed to go the same way as many other hair removal products that I've fallen for over the years - I'm sucked in by the amazing claims, I use it religiously, expecting miracles and then disappointed with the outcome, it gets chucked in the bin like the rest. My dedication to making the effort to apply it began to wane. But, as the full results are seen after around two months, according to Inhibitif, I've stuck it out. Boy, am I glad I did, too! Four weeks on, I've definitely noticed a considerable improvement in regrowth. The hairs don't seem to be as thick, nor do as many actually grow through. Fortunately, the hairs on my legs have always been very fair, but now they're scarcely noticeable. Obviously, I can't comment on whether the hair serum would have the same effect on much darker hair, though. And if the results keep getting better, during the next month, then I'll seriously be impressed! I can see myself actually risking going out with bare legs, when I hadn't shaved. Even at the moment, I'd consider it. That is something that I never thought I'd say, especially online! Whilst I'm starting to see some positive results, we need to remember that this product will not remove hair; it is not a depilatory. Sold as a 'hair-free' serum and not a hair removal product, it works to reduce the need for hair removal, on such a frequent basis. 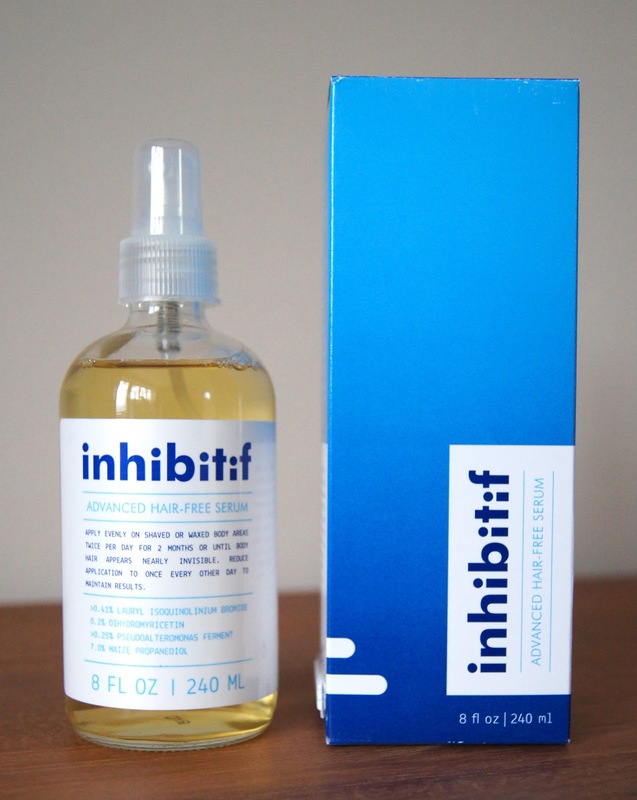 You may notice that on the website and packaging, Inhibitif use very tentative language, such as, 'reduces the apparent rate', 'apparent prominence' and 'apparent hair growth'. If you look up the meaning of that word, 'seeming real or true, but not necessarily so', then you may gather that Inhibitif are covering their backs. Just in case it doesn't make much difference, they haven't actually guaranteed that it will. Hey, it could all be a con, using the placebo effect to trick us into thinking we're less hairy, but if it is, that's worked for me! Having used this product for four weeks, I have roughly 1/3 of the bottle left. Before the two month period is up, I'll definitely have to repurchase a bottle and continued, but reduced, use will be necessary to maintain results. This does bump up the price, but the total cost will still be significantly cheaper than the extortionate cost of procedures, such as laser hair removal. During the Summer, when I tend to shave more frequently, some irritation can occur on my legs. This serum helps to combat those small, red bumps and ingrown hairs, leaving skin more even toned. You can apply any of your usual body care products on top of the spray, including moisturisers, sunscreen and even self tan, so it works in the same way as a facial serum, in that respect. In terms of where it can be used, I assume that it can be applied wherever you usually shave or wax on the body. People appear to be very interested in whether you can use it on the face, but I would strongly advise against this. Inhibitif hasn't been tested on the facial area, by the company themselves and they do not recommend that it's used in that way. Why risk it? Now, onto something that needs to be talked about and I had naively overlooked, being so wrapped up in the excitement of the prospect of polished pins. After receiving an email from a lovely reader, who brought up the issue of side effects, I started thinking about the negative aspects of a wonder product, like Inhibitif. As it's such a new product on the market and the company themselves don't seem to have given too much away about it, of course, we don't know the long-term effects. When using any product, especially one that is going to alter a natural process of the body, we should all be careful. Personally, I haven't experienced any problems whatsoever, but I would use this product with care and if you have any concerns, consult your doctor. Have you already bought Inhibitif, or are you planning to? What are your thoughts? 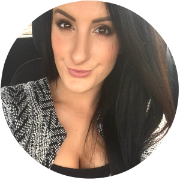 I've been using Inhibitif for 2 weeks now (I'm the reader who emailed you and was worrying about possible side-effects!) and like you, I haven't noticed very dramatic results so far. But I fancy the regrowth after shaving is a little less prickly and I'm getting less of a 'cactus effect' when I get goosebumps. So maybe it's starting to work. I noticed on another blog, the author said she'd decided to try inhibitif after seeing the positive customer reviews on the Boots website. Funny how this product (which takes at least 2 weeks to have observable results) was launched on April 17th, and received positive customer reviews on the very same day! Not that this means the product isn't effective of course. I just don't like that kind of sly marketing on the part of Boots. Wow, that is a cunning move by Boots! I think many people rely on them and trust them to be more honest, unlike other companies. I do tend to be put off by initial, heavy-handed marketing of new products, because, as you say, it takes a while for the results to start kicking in, if they do at all. But, I have noticed some change. As Inhibitif sell this as a 'hair-free' serum and not a hair removal product, I suppose they can get away with customers experiencing the smallest difference in hair growth, even if the product only makes the skin softer. They're pretty clever, really! Just because they had positive feedback on the day of launch doesn't mean that there weren't "beta testers" for this. It could be that the reviews are from people who tested the product before launched. It could also be a marketing scam but I would hope that it was from the people who tested the product prior to the launch. I have to try this!!! Have your tried it under your arms or is that not recommended?